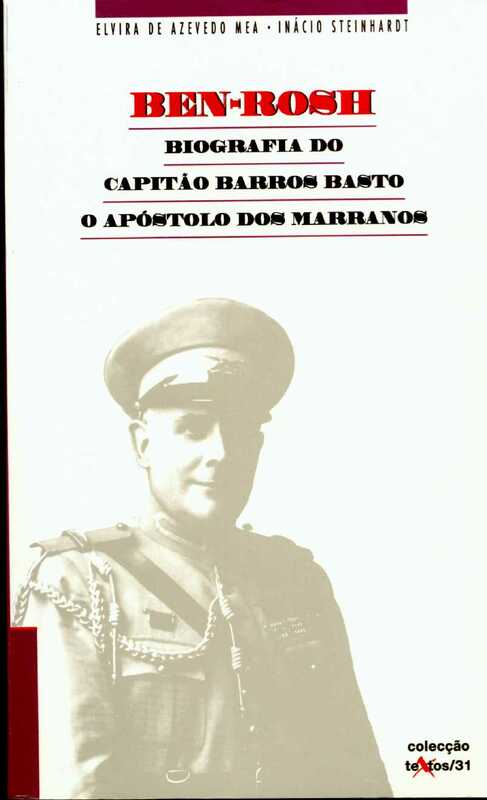 BEN-ROSH is the biography of Captain Arthur Carlos de Barros Basto, a republican of crypto-Jewish ancestry, who distinguished himself and was highly decorated in the service of his country during World War I. After his return from the war, he established a Jewish community in Oporto in 1923 . After the discovery of crypto-Jewish descendants in the Tras-os-Montes and Beiras regions, Barros Basto initiated a proselytic movement with the aim of bringing back to Judaism the whole remnant flock of those who, while they lost some of the essential content of Judaism, remained Jews in spirit, despite the inexorable repression of the the Inquisition. It was the "Obra do Resgate", a movement of redemption, that excited Jewish communities all over the world and triggered a strong chain of support, headed by the Portuguese Marranos Committee, created by the Spanish and Portuguese Congregation of London. The "Estado Novo", the Salazar dictatorship and the anti-Semitism that was rampant in Europe during the `30s, fruitlessly attempted to denigrate the movement. All their efforts to do so were in the range of nuisance value resulting in delays and hindrances, but they could not destroy it; not even when, in the name of the army' s honor and in a lawsuit without honor, they succeeded in the subsiding of the soldier, the man, but not the "apostle of the marranos". His dreams and his deeds were indestructible, as attested by the "Mekor Haim" (Source of Life) Synagogue, courageously inaugurated in 1938. Barros Basto was separated from active army service, defamed, accused of being a Communist, yet he carried on with his lifelong mission and took an active part in the rescue of his brethren in faith who fled from the Nazis. He made the Oporto community a shelter for the refugees, some of whom have been redeemed, have started a new life, and are still there to testify. ELVIRA DE AZEVEDO MEA, born in Oporto, graduated in the Arts Faculty of the city university and attained her doctorate in Modern and Contemporary History. She presently holds the position of associate professor in the same university. Her historical research work has been mainly on the subjects of Judaism, New-Christians and the Inquisition, in their social, cultural and psychological contexts. Dr. Mea has authored more than 30 papers that have been published in Portugal and abroad. INACIO STEINHARDT was born in Lisbon, in 1933 , the son of Jewish immigrants from Eastern Europe. He completed his studies in Lisbon, and later attended specialization courses in the Tel Aviv University and in the Open University of the same city. He has been for more than 20 years, an active member of the board of the Jewish community institutions in Lisbon. In 1976 he emigrated to Israel and is currently the Tel Aviv correspondent of the Lusa News Agency and of the official radio station RDP-RADIODIFUSA0 PORTUGUESA (Antena Um). As a free lance writer, he has published articles and stories, mainly on crypto-Judaic issues in several daily newspapers and periodicals.